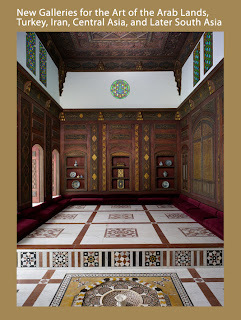 The inscription over the entrance to the new Islamic wing at the Met reads “New Galleries for the Art of the Arab Lands, Turkey, Iran, Central Asia, and Later South Asia.” And the exhibit of over 1200 objects from the museum’s over 12,000 pieces which takes up fifteen rooms records successions of conquests and movements of peoples that start with Mohammed’s journey from Mecca to Medina and include amongst others the Abbasids victory over the Umayyads, the founding of the Ottoman Empire in 1299 which included not only Anatolia, but the Balkans, the Caucasus, Syria, Iraq, Arabia and North Africa and the rise of Suleiman the Magnificent the legendary Ottoman sultan in the16th Century. Conquests would bring about relative periods of stability in which great figures like the astronomer al-Biruni (Alberonius) and the philosopher Ibn Sima (Avicenna) thrived. So extensive is this trove that it’s an understatement to call it an exhibit. 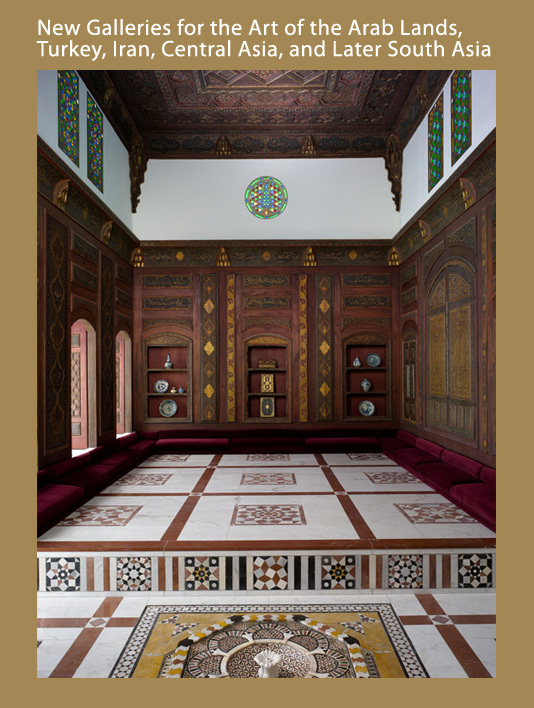 And, indeed, there is a room devoted just to the collectors, amongst them names like Morgan, Havemeyer and Houghton, whose amassing of works of sculptures, coins, rugs, vases and other precious objects became the lode from which the curators were later to draw. However perhaps the most dramatic conquest that the new wing illustrates is the conquest of the Islamic art over the Met. It was as if some Caliph or Emir with a Maecenas complex had led a crusade through the museum and in so doing created a new Empire that went beyond the bounds of space, time or religious affiliation, something so large, in fact, that no visitor could every really embrace all the sensations it induces. Edward Said wrote a book called Orientalism to describe the Westerner’s middling attempts to reduce and grasp the East. This monumental permanent addition to the Met which follows the Silk Road and encompasses a land mass from China to the Mediterranean and a time period from the Hijira to the fall of the Ottoman Empire needs a more pithy title like say, Star Wars.